Epsom salt… Isn’t that what people soak sore feet in? I wouldn’t know. I only use it for crafts and decorating. 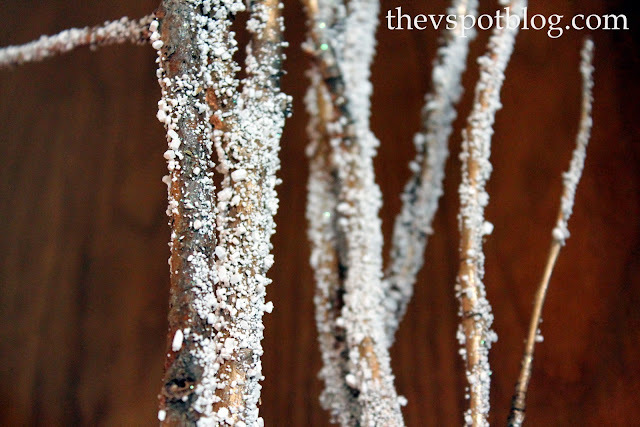 Epsom salt is a fabulous, frosty looking salt crystal. You can pick it up at any drug store or grocery store in the health/pharmacy section. I use it a lot during the winter. 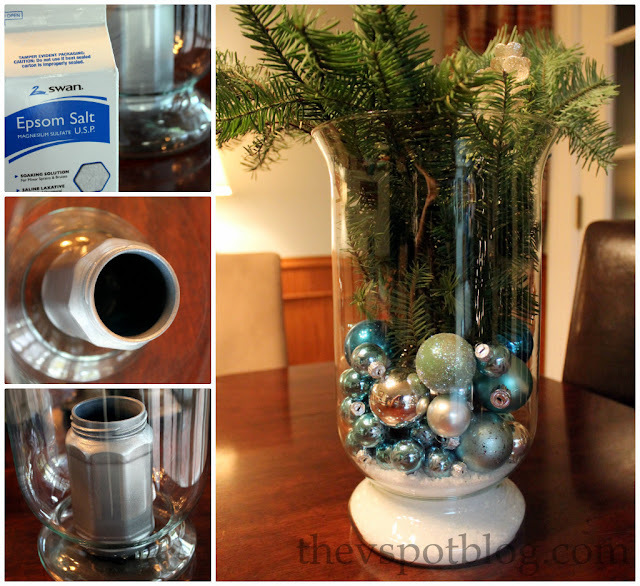 It looks great in vases and apothecary jars. You can add the salt, then add ornaments or candy canes on top of it. It’s easy to add greenery too. 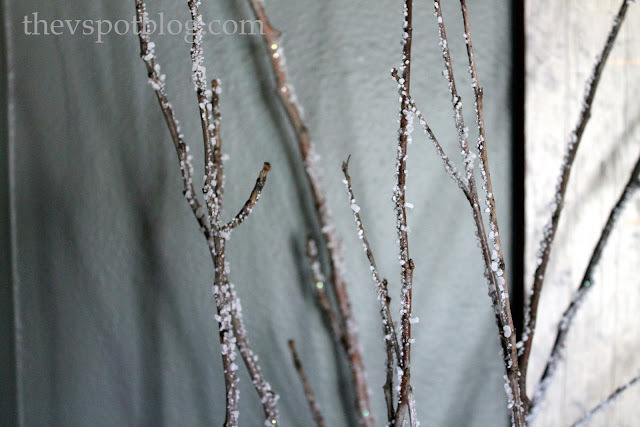 Click here to see how to make these branches. Want something a bit more crafty? 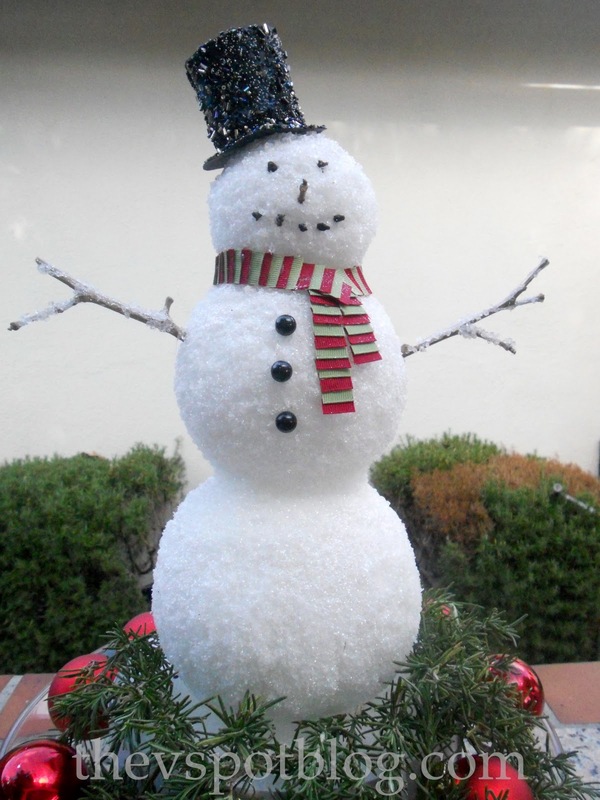 How about this sparkly epsom salt snowman? Click here to see how to make this snowman. If you’re interested in more craft ideas using epsom salts, there is actually a crafts page on the Epsom Salt Council’s website that has some cute ideas. Super cute ideas… love that little snowman. Hope you’re having a wonderful Christmas season! Let it snow! Let it snow! Let it snow! Love the snowman…he is adorable! 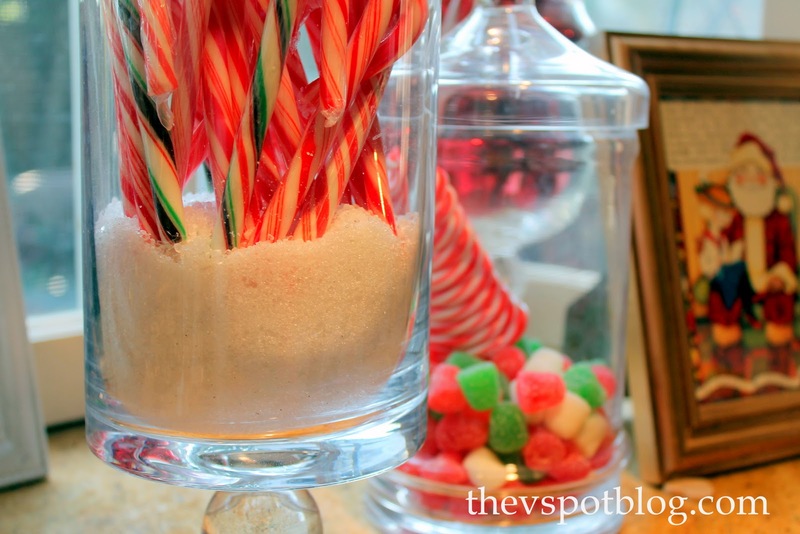 I never thought about using Epsom salts! Very cool. Love the pictures – and this idea! Thanks! I actually have a whole crap ton of it this year. It stinks like chamomile though.